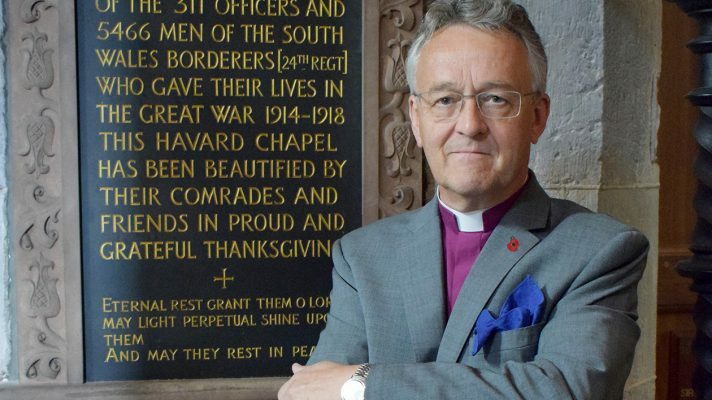 The Archbishop of Wales is urging churches to ring their bells for peace during a nationwide day of commemorative events marking the centenary of the Armistice, the end of the First World War. 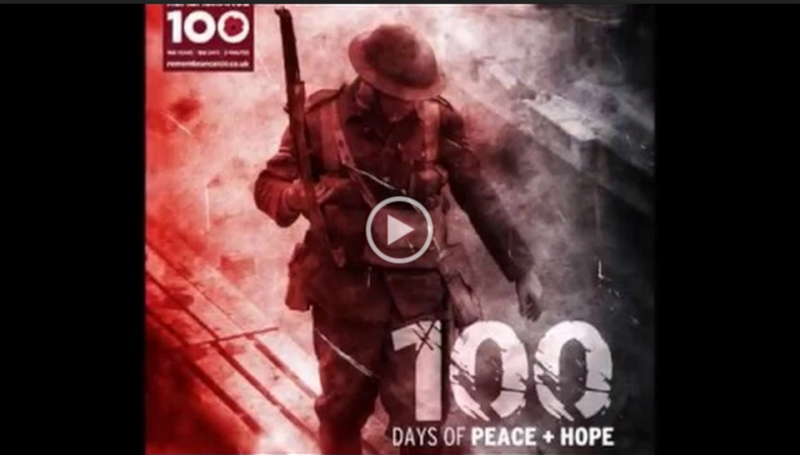 November 11 will mark the day 100 years ago when the guns fell silent and the unique series of events will involve organisations and communities the length and breadth of the UK and in many countries abroad. The Government is asking churches to join in a national bell ringing at 12.30pm on November 11. There will also be a second opportunity to ring church bells at 7.05pm as part of an event organised by the Battle’s Over project. 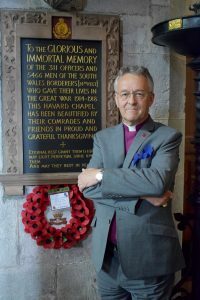 The Archbishop, John Davies, pictured here at the WW1 memorial to the South Wales Borderers regiment at Brecon Cathedral, says, “There is unlikely to be a family in Wales that was not affected at the time, whether directly or indirectly, by the horror of the First World War in which killing, on a scale never before experienced, happened. One hundred years on, the pain, shock and sense of loss and of sheer waste felt by that generation remains tangible. “The collective memory of that brutal conflict should continue to move us profoundly, reminding us of sacrifices made, and, all too often of the frequent futility of the conflict. Sadly, it was not, as some had expected, the war to end all wars; and conflicts still shatter the lives of people across the globe today. You can also follow, share and engage with the Cymru’n Cofio Wales Remembers 1914-1918 programme on Twitter at @CymrunCofio / @WalesRemembers and on Facebook at Cymru’n Cofio Wales Remembers 1914-1918. Later on November 11 bells from more than 1,000 churches and cathedrals will be ringing out at 7.05pm as part of a day of events called Battle’s O’er- A Nation’s Tribute, organised by the Pageant-master Bruno Peek. The commemorations will begin at 6am with 1,000 individual pipers across the UK and countries around the world performing the traditional Scottish lament played at the end of battle — Battle’s O’er. In the evening, 1,000 buglers will sound the Last Post at WW1 Beacons of Light locations across the nation and UK overseas territories. It is believed that 1,400 bell ringers lost their lives during WW1. They included five from one church in South Wales. Today’s bell ringers at St Illtud’s Church, Llantwit Major, will be remembering them, along with 30 others from the small coastal town who were killed, as they join in the ringing for peace on November 11. The ringers killed were the young bell captain, Bruce Davies, 29, his brother Max, 24, blacksmith David Legge, hay-cutter William Thomas, 28, and Daniel Rees, 35, a farmer who died in the influenza epidemic that followed the war. 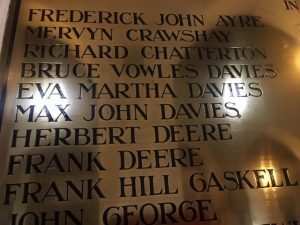 While their names were all included in the town’s Roll of Honour, for some reason they were not included in the Central Council of Church Bell Ringers’ Roll of Honour. However, their role as bell ringers came to light in May this year when a box containing the minutes of the meetings of the Llantwit Society of Bell Ringers from 1908-25 was handed over to David Bounds when he took over as Ringing Master for Llantwit Major and St Athan. Following further research with the town’s historical society, Dave and his wife Hilary are now applying to the Central Council to include the five men from Llantwit Major in their revised Roll of Honour. 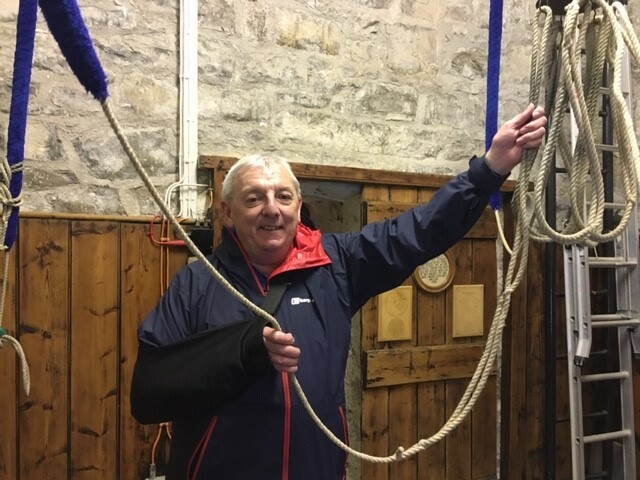 “It is a great shame that the role of these men as bell ringers has been hidden for so long,” says Dave, who has been a bell ringer at St Illtud for 52 years and was Master and Chairman of Llandaff and Monmouth Association of Church Bell Ringers for five years. Today there are 17 bell ringers in the parish, including seven new members, recruited as part of a national campaign, Ringing Remembers, to keep the skill alive in memory of those killed. They will be ringing continuously at three times at St Illtud on November 11. From 9.15-9.45am they will ring half-muffled before the morning service. At 12.30pm they will join in the national bell ringing and at 7.05pm following the lighting of the town’s beacon, they will take part in the “ringing out for peace”. One of the churches which will be joining in the bell ringing at 12.30pm and lighting a beacon is St Giles’ Parish Church in Wrexham which houses the Regimental Chapel of the Royal Welch Fusiliers. 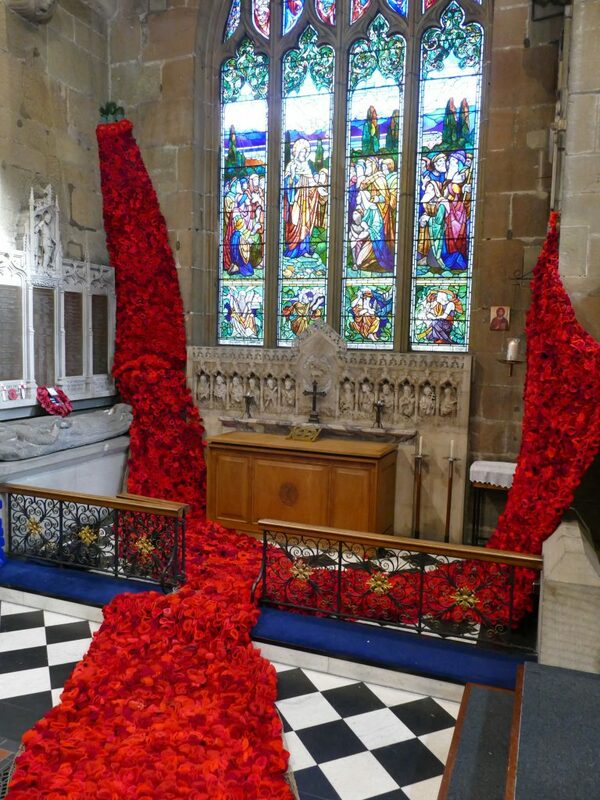 Nearly 10,000 Fusiliers lost their lives in the War and they are being commemorated in a display of 10,000 poppies knitted by members of the congregation and also the Wrexham community. The church’s iconic tower is also the site of one of the 1000 beacons of light being lit across the UK at 7pm. Other events at the church, which has a unique ring of 10 bells, include an exhibition highlighting the role of local people in the war and an Act of Commemoration at 6pm on November 11. 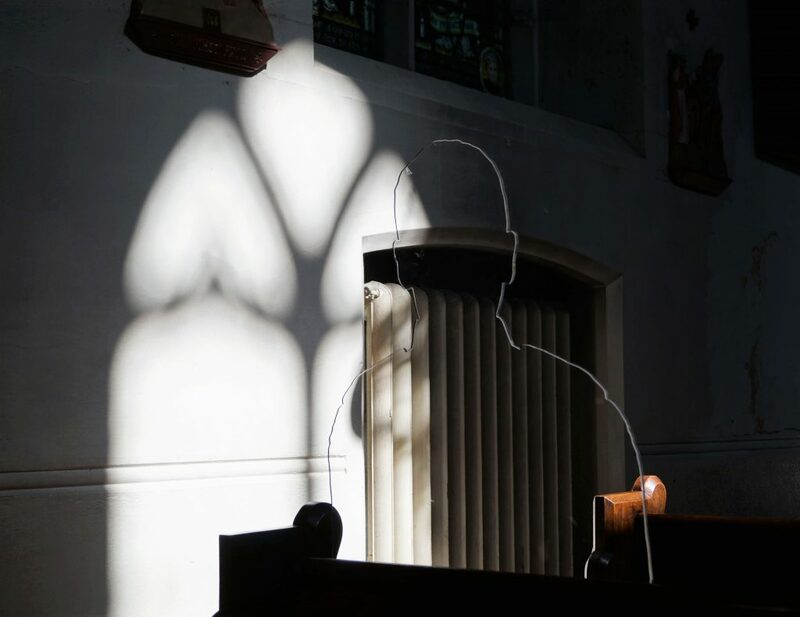 A small village church is hosting a stirring silhouette installation to commemorate its 40 World War One casualties. The five striking silhouettes, made of Perspex, have been installed at St Mary Magdalene’s Church in Cwmbach as part of the There But Not There campaign. At the outbreak of World War One, Cwmbach was a small mining and farming village outside Aberdare. The war memorial in St Mary Magdalene’s Church lists the names of 40 men who were killed in action during that conflict, devastating that community. The Archdeacon of Margam, Christopher Smith said, “Those people have never been forgotten, and alongside those who lost their lives in World War 2 and the Falklands Conflict, they will be remembered on 11 November 2018. The formal act of Remembrance will begin at 10.45am but before that, the morning worship at 9.30am will be on the theme of remembrance and peace. After the Act of Remembrance an exhibition of war time memorabilia will be on display in the hall while refreshments, including a trench cake, made to an original recipe, will be served. A Remembrance video produced by St Mary’s Church in Whitchurch, Cardiff, contains remarkable footage of some of those buried in the churchyard – including Charles Ward, the last person to be awarded the VC by Queen Victoria. It will be projected nightly onto the outside of the church walls in the lead up to Remembrance Sunday. 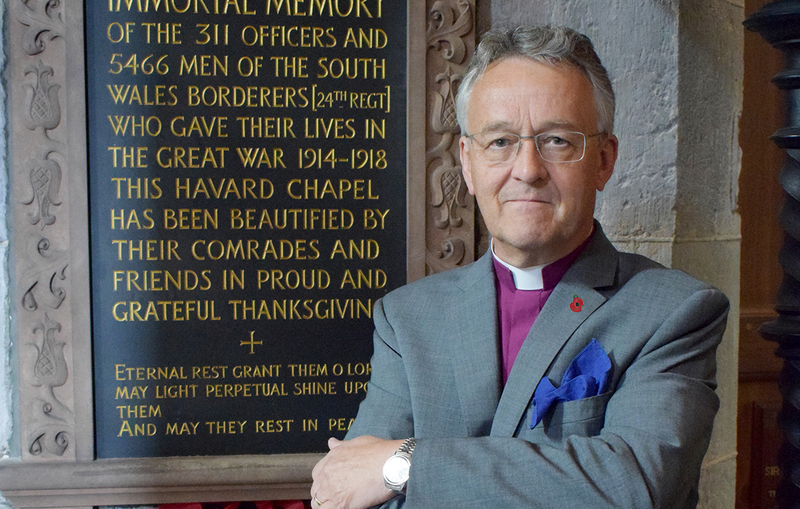 Rector of Whitchurch, the Revd John Davis said, “We are inviting people to come and view the display in the porch, listing all of those we discovered in our churchyard who died in conflicts past. The largest collection of wooden First World War crosses in West Wales has gone on display in St Katherine’s Church, Milford Haven. 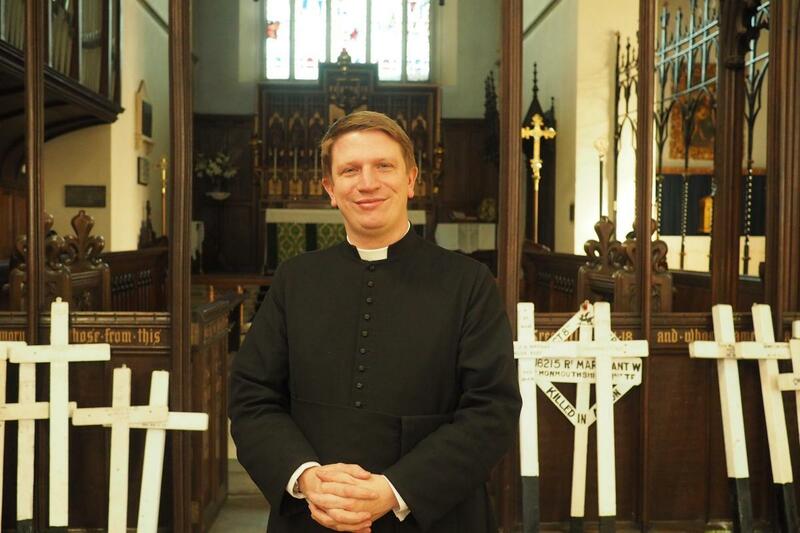 They have been rescued from a damp corner of the church by the vicar, Fr Harri Williams, who decided they should have pride of place in the newly-refurbished Memorial Chapel. Each one bears the name of a soldier, sailor or airman who died. “It’s particularly poignant for me because many of them were so young,” Fr Harri said. “We have boys in our youth group who are 17, and to think that 100 years ago many of them would have been expected to fight is quite frightening. 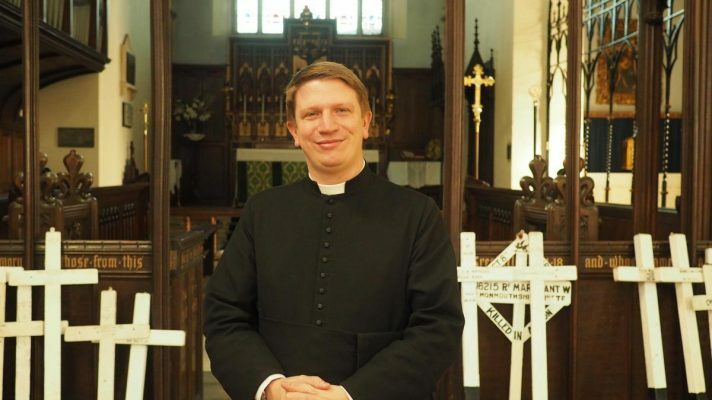 “This is the largest collection of original First World War crosses we have in west Wales and yet most people in Milford Haven know nothing about it, which is a great sadness to me. The crosses will be displayed alongside a book produced this year by the Royal British Legion and Milford Haven School, which gives details of those who died. “People can go in the chapel, look at the name on the cross, open the book and their story comes to life,” said Father Harri. “It’s a very poignant reminder of their sacrifice but also a tremendous tool for teaching the next generation about the sacrifice of war and what it meant.  A service of dedication for the chapel will take place on Friday, November 9, at 7pm. Funding for the work has come from the Royal British Legion, Pembrokeshire County Council via the Welsh Church Act Fund, Mission to Seafarers through the Trafalgar Institute, Milford Haven Town Council, the Friends of the church and parishioners.